Today, the number of economic migrants (approximately 190 million) would alone constitute the fifth most populous country in the world. There are currently an estimated 30 million Latin American born adults living outside their country of origin. Approximately 65% send money home on a regular basis, resulting in about 175 million separate financial transactions a year. In 2007, remittances to Latin America & Caribbean reached almost US$ 70 billion, making the Region the second largest remittance market in the world (after Asia). The driving force behind this phenomenon remains a fundamentally human connection: a commitment to family values lies at the core of these flows. As a result, new networks of social and economic connections are being formed. These are transnational families, living and contributing to two countries, two economies, and two cultures at the same time. From a ‘cultural innovation’ marketing approach, one of the most favorable scenarios for new product & services development is where different or opposite worldviews meet each other. This is the case of bottom of the pyramid transnational families (but also "global minds", highly educated & digitally integrated) who face every day special domestic challenges (e.g. communicating, money transfering, saving, shopping, etc.) that requires a creative effort not just from themselves and their social networks, but also but also from all 3 sectors: public, private and third sector. From a ‘buzz marketing’ approach, the transnational families are also social hubs. They are a big natural cross-cultural conversation network, responsible not only for remittances but also of branded products and services, new ideas and cultural trends. Given that background, there is a tremendous opportunity in researching this target in order to facilitate and promote the co-creation of new product & services (E.g. Two Laptops per Transnational Family), by offering to the-bottom-of-the-pyramid migrant workers and their families, innovative and specially-adapted virtual research communities (e.g. "facebook-like" communities, virtual neighborhoods and homes, etc.) where they can not only ‘warmly’ meet, exchange migration tips, share pictures and stories, but where they can access economic benefits (e.g. money transfer points, courier ) in exchange of their opinions and effective efforts to expand the research network. 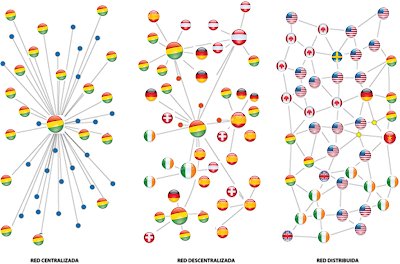 A fresh and innovative research & business model ("quant-ethno-quali-zmet-social-network") is required for reaching and understanding this authentic "glocal" and highy internationally networked segment. I am working on a syndicated research & business project, "brainjuicing" and open to sponsors and joint-ventures with leading edge global and boutique companies, but also International Organisms. Write me an e-mail: pablo.sanchez@wikonsumer.com or leave your comment to this post.